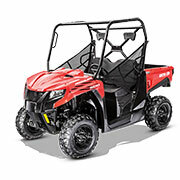 Perfect for work, play, or a bit of both, an all-terrain vehicle offers power and performance anyone can appreciate. With our selection of parts for this manufacturer, find all the essentials in one convenient place. Made to traverse snowy terrains with speed and stability, an Arctic Cat snowmobile is a winter beast perfect for adrenaline seekers. Whether your shop needs track runners or bearings, we have everything your customers need to make it a winter to remember. With their rugged ability and ease of handling, it’s no wonder more and more people choose side by side vehicles for professional and recreational use alike. We offer all the must-have items for a range of models so your customers can get back in the action. As any dealer knows, the right manufacturer can have a big impact on the overall experience of a rider. With a focus on creating some of the most powerful machines on the market, Arctic Cat continues their reign as a top choice in the industry for riders of various terrains and preferences. From their snowmobiles for winter riding to their ATVs and side by side vehicles for work or play, every model they produce meets the highest of standards for performance and power. With our selection of Arctic Cat OEM parts at the ready, find everything your shop needs for customers today. When you run a repair shop, having the right part at the ready could be the difference between a customer choosing your business or taking their business elsewhere. We have you covered with affordable solutions to keep all your customers happy. Best of all, we have no minimum orders so you can order just the parts your customers need or stock up on commonly used solutions. When looking at the brand itself, the overall versatility and breadth of their experience is worth noting. With a foundation built on almost six decades of innovation, it's no wonder Arctic Cat is a trusted name on the market. 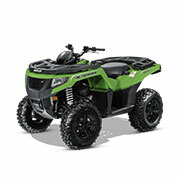 Their models cover a range of situations and terrains with ATVs, side by side vehicles, and snowmobiles for a comprehensive approach to transportation in various modes. With a focus on creating vehicles of power and performance balanced by safety and stability built into every design, their models offer a ride that is just as much as about fun as it is about function. From the power and speed of the Mud Pro ATV to the sleek stability of the Bearcat 2000 snowmobile, every option offers the ability to excel and excite for riders around the world. While these machines are all made with the highest standards for excellence and longevity across the board, it's a fact of life that riders will eventually need a few replacements and repairs to maintain their vehicle over time. 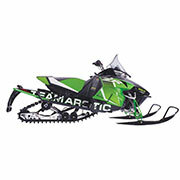 We are proud to play a part in stocking your customers with our inventory of Arctic Cat OEM parts. They are an exact fit for the vehicle. When shopping for parts for any vehicle, it can be difficult to gauge if they will fit according to the specs of the vehicle. For example, different models have different internal components and a part that works for one model may not even fit on another model from the same manufacturer. When you choose OEM solutions for the needs of your customers, the sizing and specs are made specifically with the selected model in mind for a successful outcome. It ensures performance outcomes. While the fit is important, the part also needs to operate the right way for a well-running machine. When OEM solutions are in place, your customers are getting replacement parts made to meet the performance needs of their exact model so all the internal components work together effortlessly. They are high quality and direct from the manufacturer. Since they come directly from the manufacturer of the vehicle, the parts are made with the same level of quality as the vehicle itself. When you shop for aftermarket parts for your customers, the quality may be of a lesser standard than their vehicle which will negatively impact performance and longevity while bringing down the reputation of your business. When shopping for Arctic Cat OEM parts, we have your business covered with a wide range of options at affordable prices. Our selection spans a wide range of models, series within the model, years, and areas of the vehicles. Whether your customers are searching for spark plugs or oil pumps, we have it covered with our inventory of reliable Arctic Cat OEM parts direct from the manufacturer. If you have any questions while shopping with us, please reach out. We are happy to help in any way. Order today and get back to riding!